by Schünzel, Reinhold [Darst.] | Neher, Carola [Darst.] | Forster, Rudolf [Darst.] | Pabst, Georg Wilhelm [Regie]. Visual material | 2008 | Spielfilm | DVD-Video | DVD | Magazin | Die DreigroschenoperAvailability: Items available for loan: SB Hennef [Call number: DVD Magazin] (1). Visual material | 2007 | Spielfilm | DVD-Video | DVD | MagazinSeries: Ingmar Bergmann Edition.Availability: Items available for loan: SB Hennef [Call number: DVD Magazin] (1). by Rolla, Michèle [Darst.] | Pascaud, Nathalie [Darst.] | Tati, Jacques [Darst.] | Tati, Jacques [Regie]. Visual material | 2009 | DVD-Video | DVD | MagazinAvailability: Items available for loan: SB Hennef [Call number: DVD Magazin] (1). by Chaplin, Charles [Autor] | Chaplin, Charles [Darst.]. by Zidi, Claude [Autor] | Risch, Maurice [Darst.] | Girardot, Annie [Darst.] | Funes, Louis de [Darst.]. Visual material | 2004 | Spielfilm | DVD-Video | DVD | MagazinSeries: DVD Collection Box No. 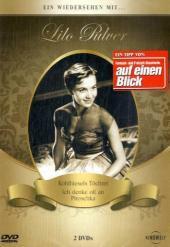 1.Availability: Items available for loan: SB Hennef [Call number: DVD Magazin] (1). Rio Grande / Regie: John Ford. Darst. : John Wayne ; Maureen O'Hara ; Claude Jarman ... Vorlage: James Warner Bellah. by Bellah, James Warner [Vorlage] | Jarman, Claude [Darst.] | O'Hara, Maureen [Darst.] | Wayne, John [Darst.] | Ford, John [Regie]. Visual material | 2000 | DVD-Video | DVD | MagazinAvailability: Items available for loan: SB Hennef [Call number: DVD Magazin] (1). by Tati, Jacques [Autor] | Frankeur, Paul [Darst.] | Decomble, Guy [Darst.] | Tati, Jacques [Darst.]. Visual material | 2005 | Spielfilm | DVD-Video | DVD | MagazinAvailability: Items available for loan: SB Hennef [Call number: DVD Magazin] (1).